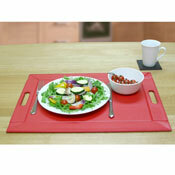 Stylish and versatile Placemat that switches between a tray and a place setting. Looks great in both formal and informal enviroments. Heat resistant to 90ºC. 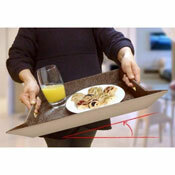 Tray stays flat as placemat. 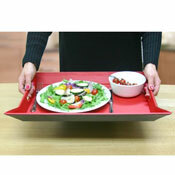 Great for carrying meals on!